moveTurtle = Turtle ! create penup hide. pen = Turtle ! create 1 lineWidth (blue) lineColor. 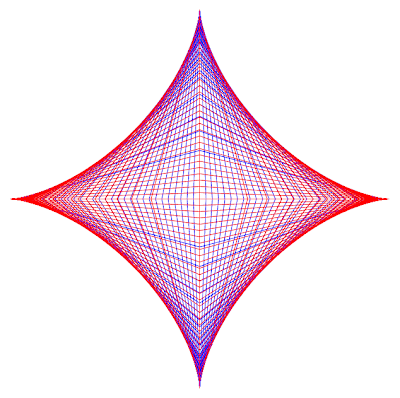 x = moveTurtle ! xPosition?. y = sqrt( LENGTH*LENGTH - x*x ). pen ! penup (x) 0 moveto pendown 0 (y) moveto. moveTurtle ! movetoCenter 90 direction. 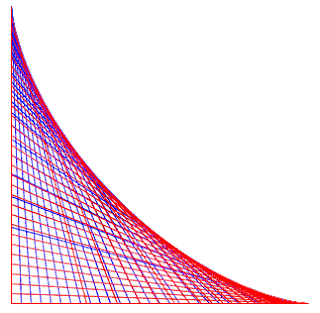 y = moveTurtle ! yPosition?. 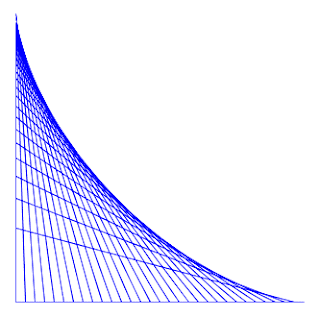 x = sqrt( LENGTH*LENGTH - y*y ). moveTurtle ! (0-LENGTH) 0 moveto 0 direction. pen ! penup (x) 0 moveto pendown 0 (0-y) moveto. moveTurtle ! 0 (0-LENGTH) moveto 90 direction. pen ! penup (0-x) 0 moveto pendown 0 (y) moveto.